The aerodiesels are coming. They burn the same fuel as jets and turboprops. They have notable safety advantages over conventional piston engines. And they may be available in Australia before they are in widespread use in the United States. When I learned to fly in the mid-1980s in central USA, there were four choices for aviation fuel: Jet-A (a form of kerosene, for jets and turboprops), 100LL (the ‘LL’ for ‘low lead,’ at least compared to previous aviation gasoline—it has four times the lead that leaded automobile gasoline had), 80-octane aviation gasoline (a leaded gasoline for lower-compression engines), and with the appropriate government approval in small engines, automobile gasoline. Economics, increasing regulation of airport fuel storage facilities, and the relatively limited demand for aviation gasoline (avgas) made it uneconomical for most airports to carry two grades of piston aeroplane fuel. Since 80-octane engines can run on 100LL but the reverse is not true, the 80-octane grade fell out of production. Some airports began to host an automobile gasoline (mogas) pump in its place, but the volume of business does not support two grades of piston aeroplane fuel, and the rise of alcohol additives in auto gasoline makes it incompatible with most aeroplane fuel tanks and engines. Today we’re basically down to two grades of aviation fuel: Jet-A and 100LL. Environmental considerations have made 100LL an endangered species. Research is underway for a 100LL-equivalent unleaded fuel, and the phasing out of 100LL is scheduled to begin in 2018 … three years from now. Meanwhile, the incredibly low demand for 100LL in most places means that it is much costlier outside North America, if it is available at all. Clearly, the most elegant solution is to power all aircraft with a single grade of fuel. Since Jet-A is ubiquitous around the world, a viable and reasonably affordable Jet-A-burning engine in a size, weight and power range appropriate for light aircraft would be the best solution. Although some light turboprop engines have been tried (limited-production turboprop conversions of piston airplanes have been done; Mooney flew a turboprop M20 shortly before its 2008 bankruptcy, and Diamond Aircraft announced a Ukrainian-built turboprop on its new DA-50 in January 2015), generally turboprops are too costly for widespread adoption in personal and training aircraft. Modern diesel engines, on the other hand, generally fall in the right weight, power and cost range for existing and new airframes. And aerodiesels burn the same ‘world fuel’ Jet-A as jets and turboprops. Aerodiesels are sometimes called ‘compression-ignition engines’. Instead of compressing a fuel/air mixture and igniting it with spark plugs, diesels compress the air so much that it explodes spontaneously in a controlled manner. There are no magnetos or spark plugs involved. A condition that’s considered hazardous in gasoline-powered engines, ‘detonation’ is the normal state of affairs in a diesel. It takes turbocharging to attain compression-based ignition at sea level, and even more as the engine’s altitude increases. For example, sea level take-off power in Cessna’s soon-to-be-certified Skylane JT-A (Jet-A, get it?) is 85 inches of manifold pressure—far greater than turbocharged 100LL engines. Aerodiesel engines are often lower in horsepower than the engines they replace. The JT-A’s 227 horsepower engine replaces the Turbo Skylane’s 235 horsepower Lycoming. The recently announced Cessna 172 Skyhawk JT-A has a 155 horsepower aerodiesel, compared to 160 to 180 horsepower 100LL variants. As anyone who ever took off in a loaded Skyhawk or Skylane on a hot summer day might wonder, aren’t the JT-A models going to suffer for take-off performance? The difference is something aviation pretty well ignored for the first 110 years of powered flight. Horsepower determines how fast an aeroplane can go. But engine torque determines how quickly it can accelerate. Aerodiesel engines have significantly greater torque at the propeller than engines that burn avgas. The aeroplane can get off the ground sooner with the same horsepower, or in the same distance with less horsepower than the engine it replaces. And, since aerodiesels are turbocharged, they will retain their sea-level horsepower rating to 10,000 feet or higher … meaning they will behave like a similar-horsepower avgas aeroplane on take-off, and fly faster than the higher horsepower avgas aeroplane in cruise. There’s another advantage of aerodiesel engines that has not been discussed very much. Aerodiesel engines hold the promise of being safer than the 100LL-burning engines they replace. Diamond Aircraft has been selling diesel-powered aeroplanes in Europe for several years. The Germans were flying diesel-powered transports in the 1930s and 1940s. But the reason we’ve not been touting the safety advantages of aerodiesels yet, I believe, is that most of the up-and-coming engines are still in the testing phase—very advanced pre-production testing, to be sure, but still pre-production. For example, the prototype Skylane JT-A suffered an engine failure during flight testing in August 2013. But sources close to the testing tell me the cause was an easily detected and corrected engine manufacturing quality control issue, and not a failure of the basic design. That’s why certification testing exists—to ensure these things are discovered and corrected. Full authority digital engine control is a fancy way of saying the engine operates more like a 2015 Mercedes than a 1947 Buick (in fact, several aerodiesels are based on Mercedes automobile engines). Sensors in the engine adjust its timing and mixture setting for optimal combustion for the phase of flight, without input from the pilot except the single-throttle control. Push a button and the engine starts, just like a car. There’s no mixture control, except perhaps as an emergency over-ride—the FADEC adjusts the mixture for you. Too busy to properly lean the engine as you accelerate into cruise? Don’t worry, it’s already done. My 25 years of providing pilot transition and recurrent training in Beech Bonanzas and Barons has shown me that pilots spend altogether too much of their time and mental bandwidth fiddling with manual mixture control. Way too much time is ‘heads down’ in the cockpit scrutinising engine temperatures and fuel flows, when pilots really need to be looking outside for other aeroplanes and terrain. Critical checklist items get delayed or missed, altitudes get busted, and balked landings suffer from anaemic power, or when the wing nears a stall while the pilot manages or mismanages the power. There are superb courses that spend entire weekends showing pilots how to properly manage piston aircraft engines. Wouldn’t it be great if we didn’t have to intercede at all, and could instead focus our attention on avoiding the things that cause accidents, like stalls, loss of control, controlled flight into terrain and midair collisions? FADEC is available in 100LL-burning engines, but has never really ‘taken off’. The aerodiesel revolution comes with FADEC as part of the package. When it comes, we’ll benefit from the safety enhancement of significantly reduced pilot workload and distraction. Diesel engines are much more efficient than gasoline engines. The Skylane JT-A, for example, has a 30 to 40 per cent lower fuel burn than the engine it replaces, according to Cessna parent, Textron Aviation. 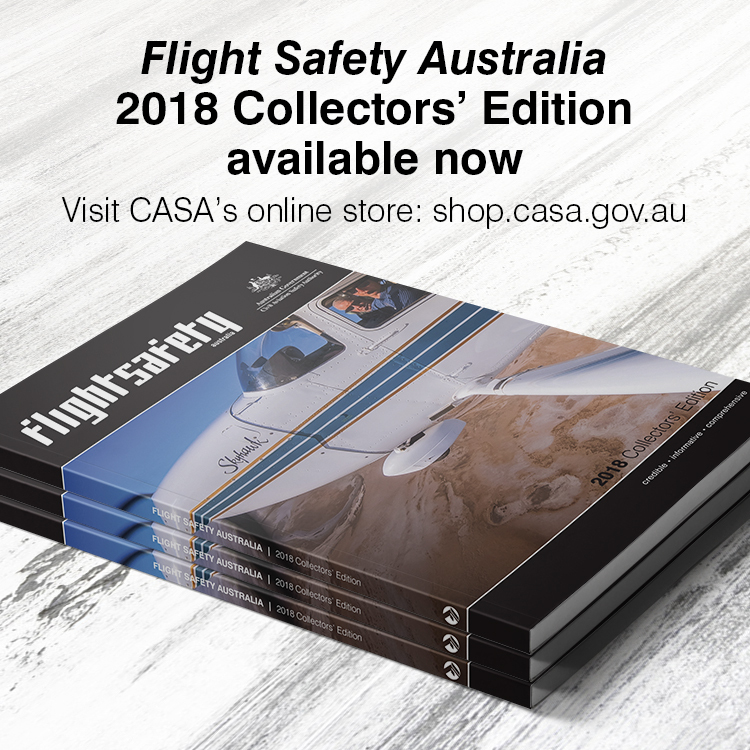 Given that fuel mismanagement is among the most common factor in light aeroplane engine failures, the ability to go further means the pilot is less likely to run out of fuel. Jet-A is a little heavier than avgas, so weight-and-balance considerations may drive taking off with a reduced fuel load compared to a 100LL aeroplane today. It will still take good pre-flight planning and in-flight monitoring to avoid a fuel-related engine stoppage. But the reduced fuel burn of aerodiesels at least potentially makes this type of accident less common. Because aerodiesels burn less fuel for a given flight, the total cost of flying may go down (assuming Jet-A prices don’t climb much). There’s a strong correlation between the cost of fuel and the amount a pilot flies. There’s a similar correlation between a pilot’s recent flying hours and the likelihood of an accident. If the fuel cost is lower than it would be otherwise, (knowing the 100LL prices are likely to continue to climb, even with the current but likely temporary reduction in petroleum cost), it’s possible the average pilot will fly more frequently. Aerodiesels burning the Jet-A ‘world fuel’ may help us fly more and be safer as a result. Every now and then an aeroplane crashes because it is accidentally fuelled with Jet-A instead of avgas. Aerodiesels use the same fuel as jets and turboprops, eliminating misfuelling as a potential accident cause. Traditionally most mass-produced general aviation products are aimed squarely at the U.S. market. The aerodiesel revolution, however, makes the most short-term sense outside the United States, and most directly in China. Over the past decade Chinese interests have purchased Continental Motors, Inc. CMI has fast-tracked development of its Thielert-based CD100 series, which is currently certified worldwide; CMI’s 245 horsepower CD200 engine is already certified in China and aimed at Cessna products; and the CD300 series, in the 300-350 horsepower class and fast-tracked for certification on the Cirrus SR22 (another Chinese-owned product) later this year. Most recently Mooney Aircraft, pulled from bankruptcy by new Chinese owners, announced two brand-new M10 aircraft models, aerodiesel-powered and aimed at the flight instruction and personal transportation markets. With China seemingly becoming the new world centre for light plane development, general aviation markets outside the United States are the first recipients of new technology. 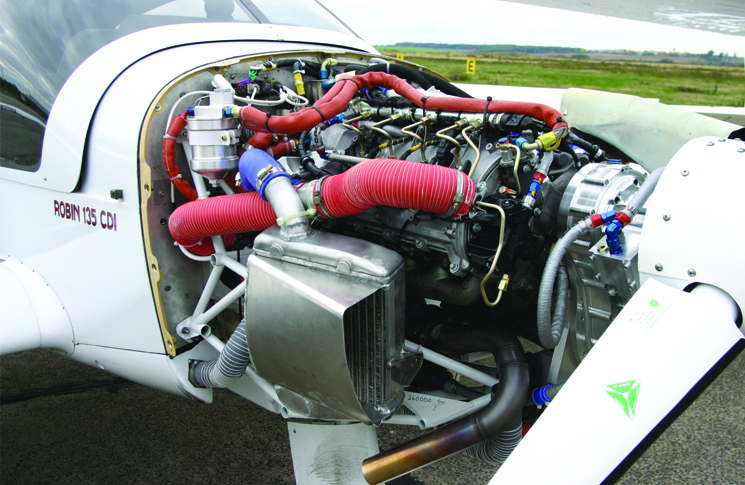 Continuous-ignition, diesel powerplants are leading this general aviation revolution. Although there will be hesitancy in the U.S., where avgas is still plentiful and prices are at least temporarily going down, I suspect a large part of the market outside North America will rapidly accept the new aerodiesels. With a long tradition of personal aviation, Australians will likely be early adopters of these new aerodiesel powerplants. Reduced Fuel Burn wouldn’t mean it is safer too. Pilots plan on fuel burn which means if their time calculations are wrong, they are still wrong. It’s like comparing 3+2 = 6 to 2+1 = 4. Excellent summary Standard fuels and simplifed operations. What about engine wear?- normal diesel is a lubricant, that’s why motor vehicle diesels last “forever” A colleague of mine ran his Nissan patrol on 100% Jet A1 because he got it cheap. 1 year later he blew up his engine because he ran on Jet A1. How will the manufacturer overcome this?